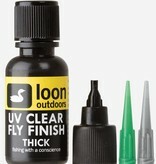 UV Clear Fly Finish is for those who believe "five minutes to cure is five minutes too long." 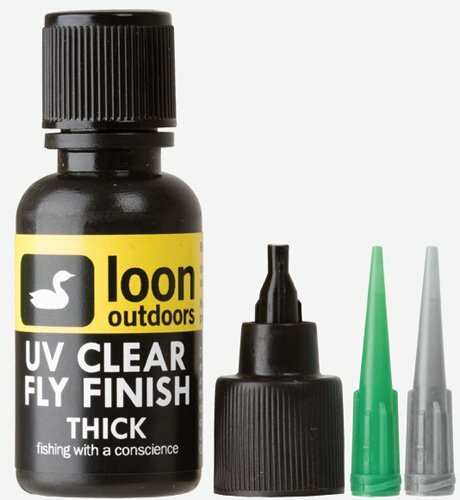 No mixing or waiting is required, and it remains workable until exposed to direct sunlight or Loon''s UV lamps, at which point it will cure in a matter of seconds. The possibilities are endless! 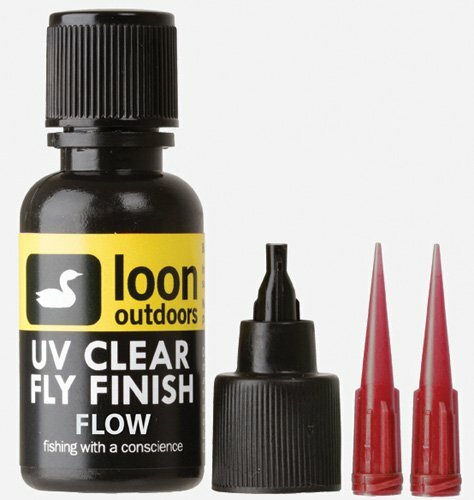 FLOW - The thinnest UV resin available from Loon, Flow is thin enough to work as a head cement replacement, but strong enough to coat heads, bodies and midges. FLUORESCING - At depths as shallow as a few feet, even bright flies can appear dull and disappear into the background in the dark underwater world. 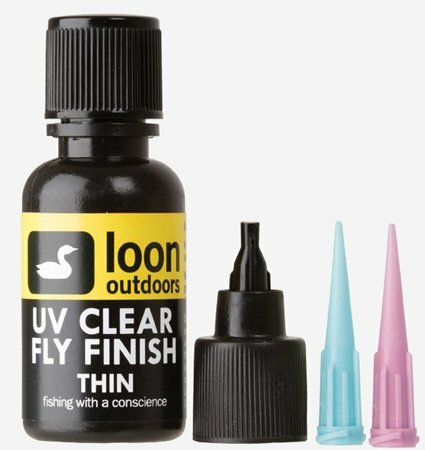 Loon Fluorescing UV Clear Fly Finish performs just like UV Clear Fly Finish Flow, and takes the UV light that is available underwater and reflect it as a color more visible to fish. 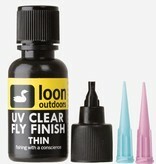 Apply Fly Paint or Fly Finish to fly while indoors or shaded from the sun. Use applicator and/or rotating vise to form into the ideal shape. 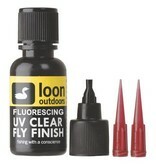 Expose to sun light or use Loon''s UV Mini Lamp or UV Power Light to cure. 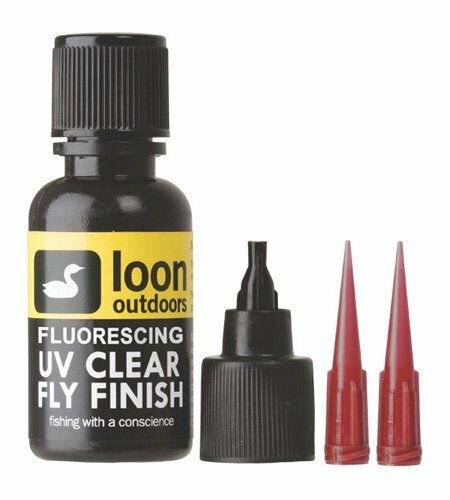 In direct sun (or when using Loon''s UV Lights) hardening should take approximately 15 seconds."